You are in Hollywood. Well, maybe somewhere near Hollywood. Close enough to drive. You love Los Angeles with all its glaring contradictions. You are friendly. You smile at people. You go to concerts. You make friends everywhere. Dancers, musicians, artists, photographers. This is the 90s, and there is no Google Maps. You are lost. A lot. Driving through downtown and West Hollywood and Venice and Crenshaw. And there are so many dreams and ideas floating in the air. From Bjork in a paper skirt or Meshell on her bass at the Glam Slam in Downtown to listening in awe of Dwight Trible at The World Stage in Leimert Park to seeing De La Soul at The Viper Room - a certain kind of Los Angeles music scene shaped my formative years. And nothing has changed. I am still an avid fan of soulful, eclectic music and intimate venues that get you up close and personal. What a gift to to watch the musicians and artists I've encountered as the years have passed, find success on many levels. There is a point where one moves from observer to active participant. And that is where I find myself today. I listen to stories on NPR about lack of diversity in the entertainment industry. I see beautiful posts documenting #blackgirlmagic. My heart aches thinking of mass incarceration and listening to coverage of the #blacklivesmatter movement. And I feel lost. A lot. 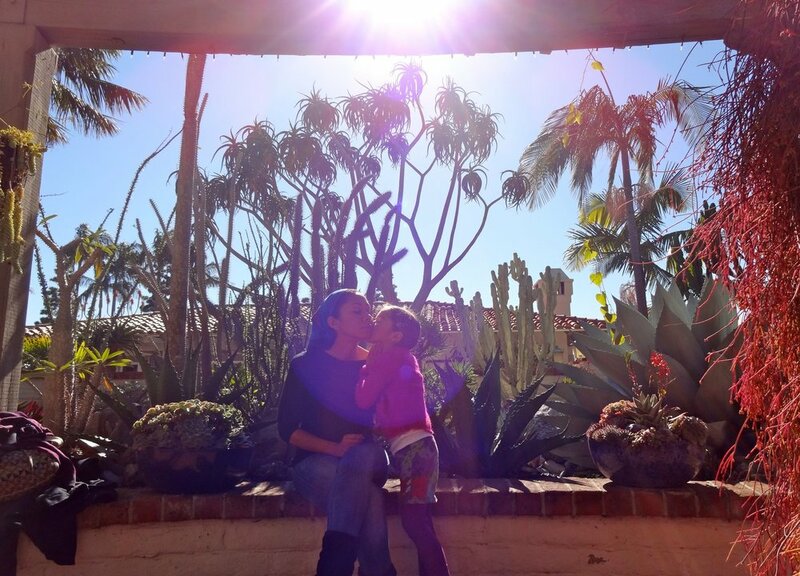 Producer, Andrea Miller, pictured with her daughter Selah. I could lose myself in daily household tasks. I could sink down and hide inside my own life. But just like water, for me, boundaries are nonexistent. I tap into the dreams and ideas that make up this city called Hollywood. The dreams of my friends. And my own dreams. Today, I find myself working in partnership with the historic Ford Theatres as Producer and Director of Common Culture: Across the Water. Join us and tap into 100+ years of Hollywood history and the countless dreams and ideas floating in the air. About me: Born to parents who immigrated to the United States from Cape Town, South Africa in the 1960's, my interest in immigration narratives, social activism, liberation movements and living a multi-racial identity has informed my grassroots community work and creative direction. It is themes such as multi-culturalism, global citizenry, and the search for identity and family that greatly influence my work.